Sometimes, the footnotes are the best part. 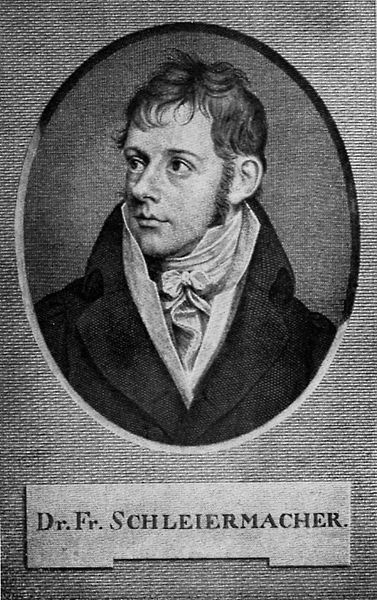 While working on a dissertation chapter about the German philosopher and theologian Friedrich Schleiermacher (1768-1834) I came across something delightful — a tiny biographical detail that, with a little research, soon blossomed into a miniature Borgesian picaresque. Try as I might, though, I couldn’t squeeze the story into the main body of my text. So instead I put it into a footnote, and that single footnote was more fun than to write than anything else in the 75 pages around it. It’s also feels perfect for sharing now. Schleiermacher. His head looks fine to me! Here’s the only background you need. Someone whose work is still read a great deal today, Friedrich Schleiermacher was an incredibly influential thinker not just for a whole array of secular academic disciplines, but also for the tradition of Modern Liberal Protestantism. Yet for all his brilliance, Schleiermacher, a soulful Prussian with a deeply domestic bent, spent decades yearning to get married and have kids only to meet disappointment after disappointment. Unrequited love, impossible relationships with unhappily married women, failed engagements, et cetera — all the typical Romantic-era relationship drama, plus whatever other added problems may have arisen from Schleiermacher’s apparent conviction that the shape of his head was fatally unattractive to women. But persistence pays off – or at least something like the Napoleonic Wars can open up the field. When Schleiermacher finally did get hitched at 37, it was to one Henriette von Willich (née von Mühlenfels, 1788–1840), the 19-year-old widow of a close friend, a young military chaplain who had died of typhoid while on a siege. Schleiermacher made up for lost time by building quite a large family with Henriette: in addition to the two children Henriette brought with her, she and Schleiermacher went on to have four more of their own. They also adopted the two orphaned sons of one of her distant cousins, a Prussian nobleman who had died in battle while serving as a Captain in the Hussars. Here’s where it gets interesting. You see, the career of one of these adopted boys, Johann August Ernst von Willich (1810-1878) couldn’t have been more different from that of his adoptive father the pacifist minister — instead, it reads like something out of novel by George MacDonald Fraser. Except unlike Fraser’s Harry Flashman, August Willich – note the conspicuous absence of the noble ‘von’ – wasn’t a cowardly scoundrel. He was a total badass. Three years old when adopted by Schleiermacher, August would later become a decorated Prussian army officer only to discover Communism and resign both his commission and title to lead a detachment of Free Corps against Monarchists in Brandenburg. None other than Friedrich Engels served as his aide-de-camp. Willich’s views apparently lay further to the left than Marx’s, whom he detested, and after fleeing to England he doggedly opposed Marx during the dissolution of the League of Communists in 1850. Immigrating to America, Willich gave the vocation of “citizen” to the authorities at Port Control in New York, worked for a bit as an itinerant carpenter, and wound up moving to Ohio, where he published an ethnic newspaper. An adamant abolitionist, Willich responded to the outbreak of the Civil War by organizing several hundred German immigrants into enlisting as a brigade for the Union. Although his outspoken Communist sympathies at first prevented his advancement, his success at training men and singular feats of leadership rapidly earned him a series of promotions, and he ultimately rose to the position of Brigadier General. 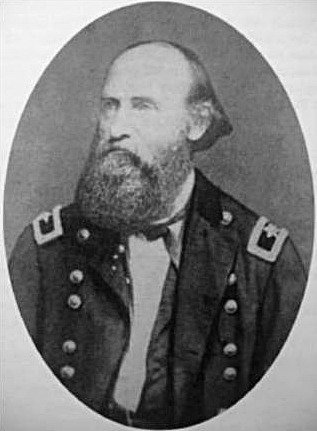 He rallied the 32nd Indiana at Shiloh by leading the regimental band in the Arbeiter Marseillaise while turning his back on direct fire, spent several months as a POW in horrible conditions, and joined William Tecumseh Sherman’s march on Atlanta; his personal intervention with Sherman allowed his all-German troops to retain their beer rations on the otherwise entirely dry March to the Sea. After the war, he returned, wounded, to Ohio, where he wrote philosophical essays and became the leader of a group of intellectuals known as the Cincinnati Hegelians. He emerged briefly from retirement to travel to Germany and offer his services as General to Otto von Bismarck during the Franco-Prussian war, but the Chancellor demurred. Willich appears to have enjoyed himself nonetheless by spending the rest of the trip attending philosophy lectures in Berlin. The boarding house in which he lived still stands in Ohio. Not a bad footnote, right? For Willich’s experiences in Revolutionary Europe, see Engels’ The Campaign for the German Imperial Constitution; for his relationship with the League of Communists, see Marx’s essay The Knight of Noble Consciousness; for his time and America and Civil War service, see his entry in Appletons’ Cyclopædia of American Biography and web resources by Quigley, Peake, and Powell. This entry was posted in Uncategorized and tagged footnotes, history on September 21, 2013 by Pat Blanchfield.